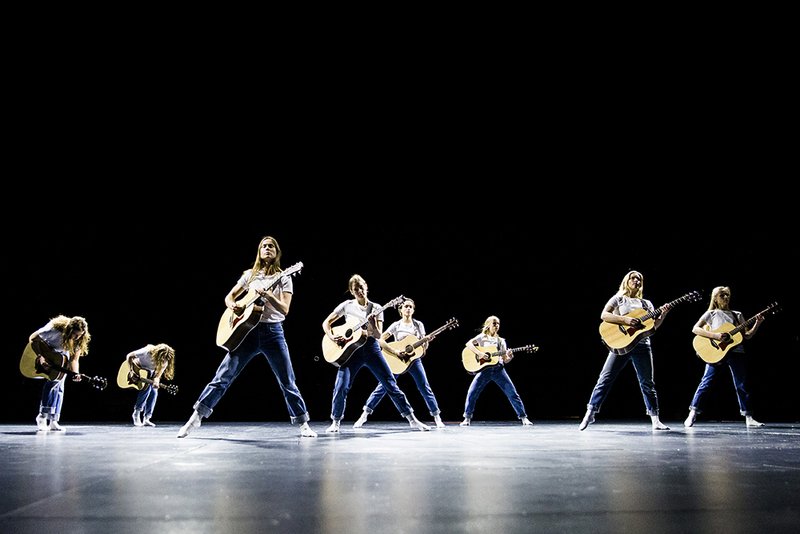 Iceland Dance Company will perform the beautiful guitar ballet No Tomorrow by Ragnar Kjartansson, Margrét Bjarnadóttir and Bryce Dessner on May 9th and 10th at SPOR festival in Aarhus. No Tomorrow has been highly praised by both critics and audience alike. Iceland Dance Company won the Icelandic Performing Arts Award for the piece, which has been touring Europe the past two years as a part of Iceland Dance Company’s performance festival SACRIFICE. No Tomorrow has been highly praised by both critics and audience and received the Icelandic Performing Arts Award (Gríman) in 2017 for best choreography and for the best performance, which was the first time ever a dance performance is announced as Performance of the year at Gríman. No Tomorrow is ballet for eight dancers and eight guitars. Acoustics that travel in the vast theatre space. The ballet is a manifesto of rythm, movement, chords and vague emotions. A contemplation on the beauty, inner strength and art of the dancer. Counting and space. The way the sound and the playing travels. The way sound induces an emotion. Bryce Dessner’s music is composed exclusively for this experiment. And Sappho was an inspiration to Kjartansson and Bjarnadóttir. But the lyrics in the piece include only one sentence by the harp player of Lesbos, it’s main source of inspiration is Vivant Denon’s novelle, Point de Lendemain. A lusty, hyperpoetical work of prose dating back to the late 18th century. An homage to the coming of age and the idea of the real lover in those mysterious times. This may come across as a Calvin Klein show, but it’s rococco – is more a kin to Watteau.